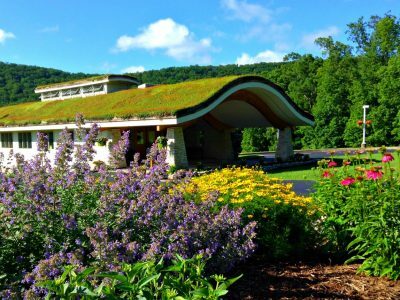 Life Expression Wellness Center is a multi-disciplinary health center located in Northeastern Pennsylvania. A dedicated wellness team is here to serve you and your family with Biodynamic Craniosacral, Family Chiropractic Care and Therapeutic Massage. Conceived by renowned ecological architect Sim Van Der Ryn of Sausalito, California, the center is positioned with the equinox of the sun which allows for solar gain in the winter and shade in the summer. It is a one of a kind health center that welcomes you in all seasons. 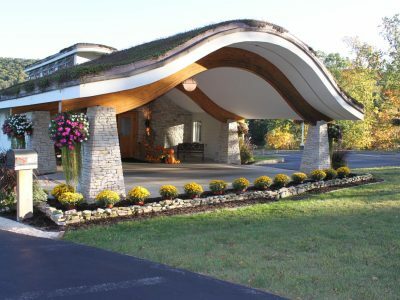 The living roof was designed by architect Charlie Miller of Roofmeadow. 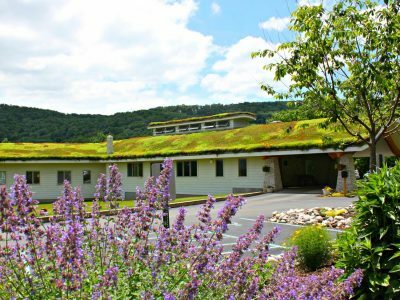 It is literally alive with 6,000 sedum plants that create a living meadow on the building and a thermal balance from the heat and cold. Windows let natural sunlight stream into every room. These windows also allow for cross-room natural lighting and natural drafting of the air. The floor creates hydronic heat which circulates hot water providing healthy heat. The southern exposure of the center also allows for the winter's solar gain to the floor increasing the beneficial warmth to the office. 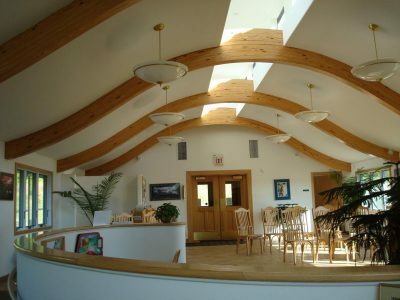 Building materials in the center are of no or low VOC, creating a non-toxic environment necessary for healing. 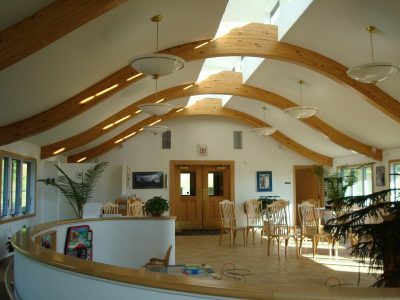 The building is located amid the soothing sights and sounds of 16 acres of natural meadow. It is conveniently located near the junction of Interstates 81 & 81 and approximately a half hour from the 476 Northeast Extension of the Pennsylvania Turnpike. 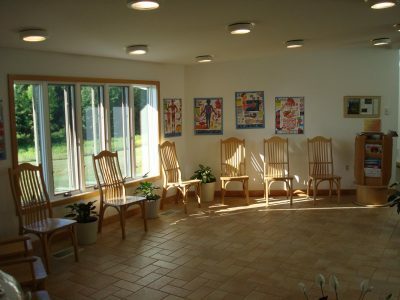 Life Expression Wellness Center has private and family rooms for each service. There is X-ray equipment for chiropractic spinal analysis. Insight Technology is utilized for measure of surface thermal, electromyography and heart rate variability for validation. Massage therapy rooms are equipped with lift massage tables that face peaceful, natural, songbird meadows. Enjoy the warmth and relaxation. Welcome to our main entrance with quiet seating, mother’s nursing room and children’s interactive play area. The health and wellness of your world tomorrow begins in our world today. We invite you and your family to join us in the wellness lifestyle.